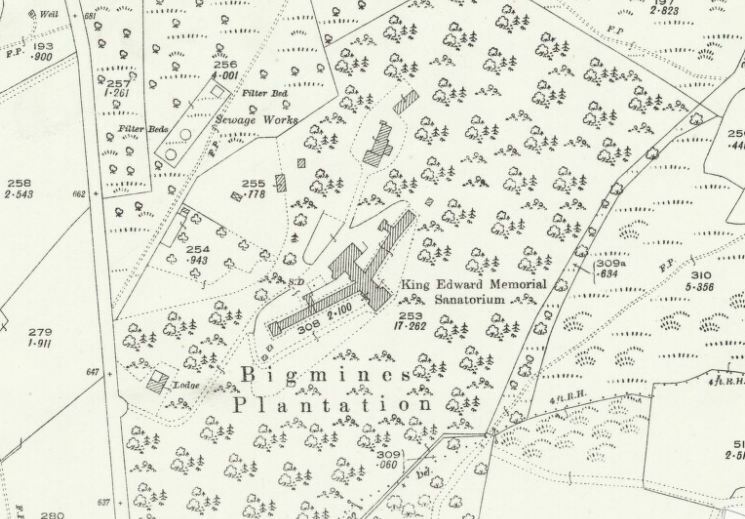 Extract from the 25-inch OS map revised in 1925. Reproduced by permission of the National Library of Scotland. 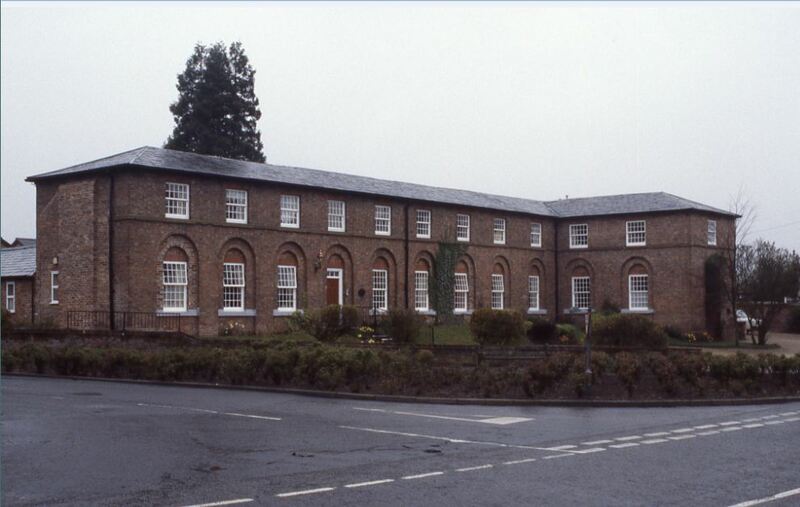 A workhouse was erected at Cross Houses in 1834 for the Atcham Union. A complex of red-brick buildings of various sizes, it was enlarged in 1871, when a small chapel was also built. Two infirmary blocks were added at some time in the late nineteenth century, one with adjoining mortuary and chapel-of-rest. 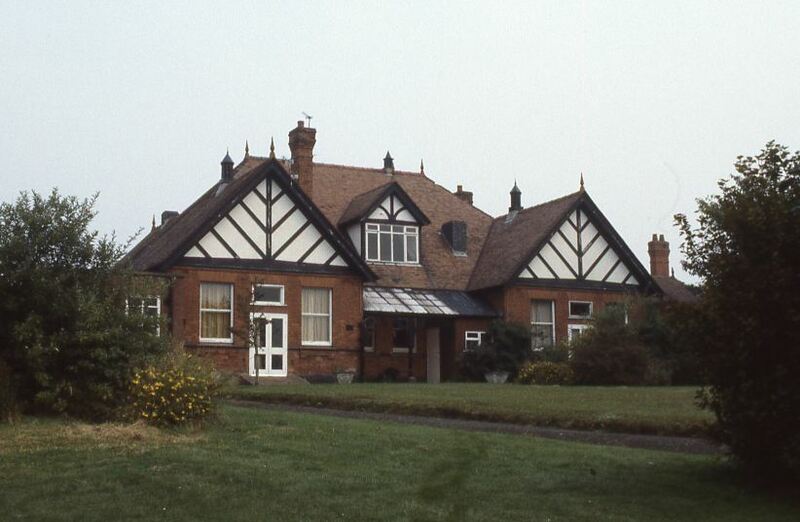 A matching nurses’ home, designed by A. B. Deakin, was erected in c.1903. Established in 1841, this general hospital moved in 1895 to a new building on a new site, designed by the Edinburgh architect, Edward Maidman. He carried out additions there in 1908 and the hospital was further extended between the wars. The original hospital, of red brick, hung tiles and half-timbered gables, comprised a two-storeyed administration building with single-storeyed wards behind arranged in a V plan. 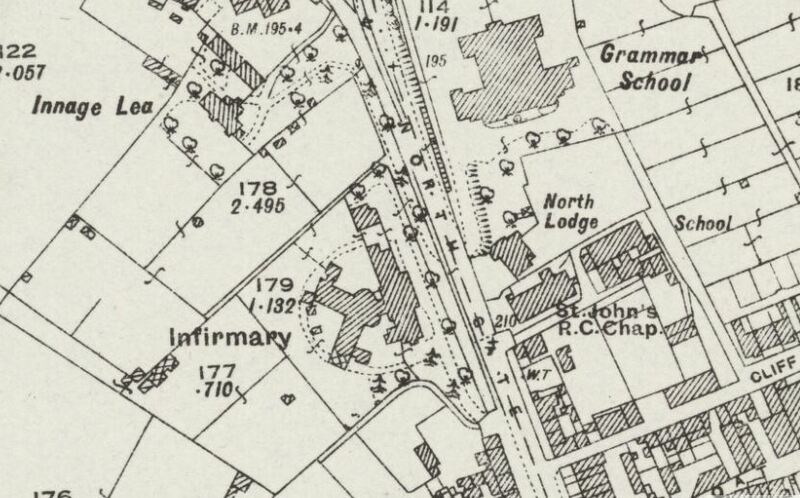 Extract from the 25-inch OS map revised in 1924. Reproduced by permission of the National Library of Scotland. 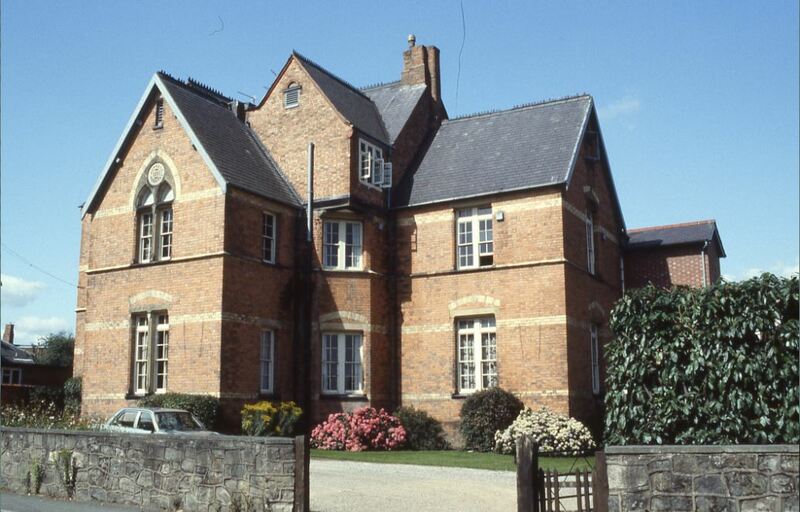 In 1948 the hospital was transferred to the National Health Service and in 1993 was a general acute hospital. 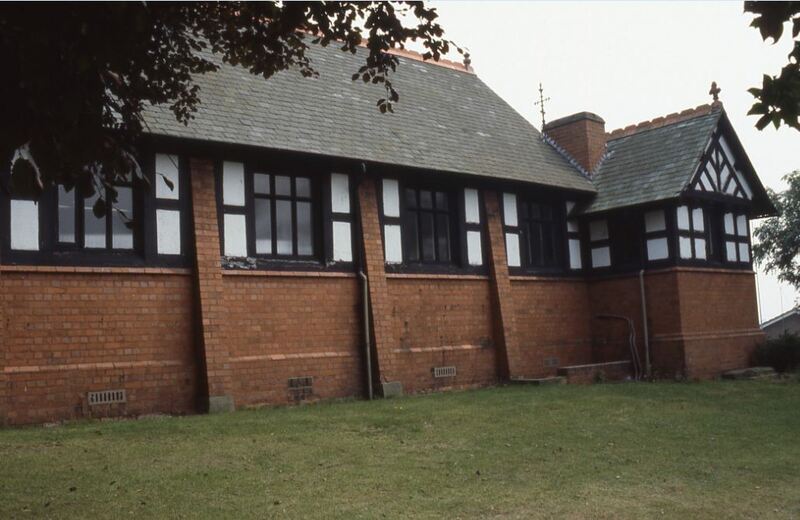 A large brick and render cottage hospital with a proliferation of half-timbered gables, established in 1907. It comprised an administration block, with a ward wing to the south, and a smaller ward block to the north linked to the main building by a glazed corridor. It originally provided 24 beds and radium wards. 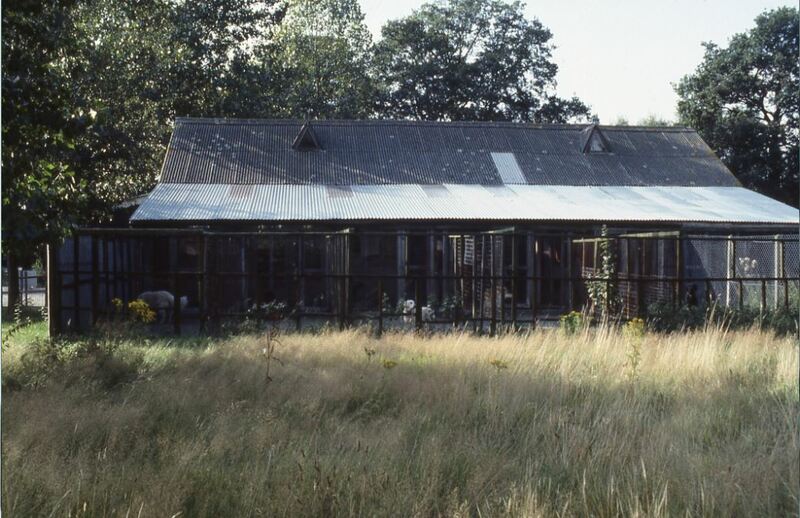 The buildings were empty in 1993. 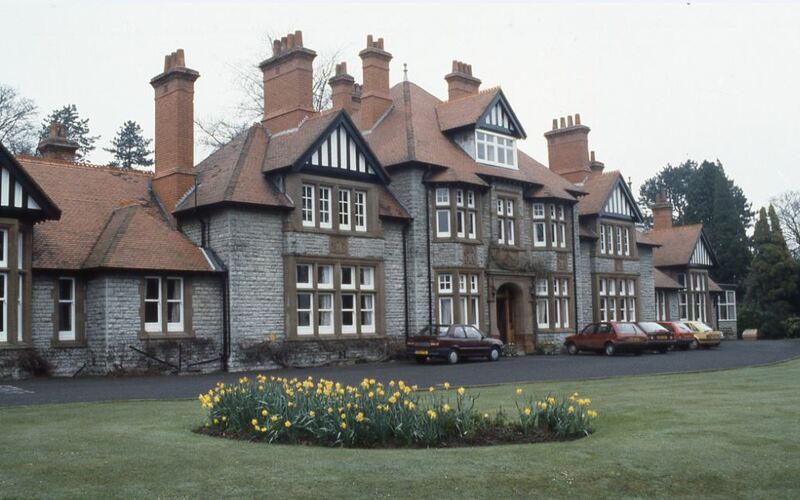 Ellesmere Cottage Hospital was erected in 1906-7 and opened in 1907 with seven beds; prior to this, health-care for the people of the village was provided at the Oswestry and Ellesmere Cottage Hospital, in Oswestry. The two-storey building, of brick and pebbledash, was built on the north side of Trimpley, facing the road. Its main elevation consists of three large gable-ends. Two one-storey red-brick additions, with hipped tile roofs, have since been added either side of the central entrance. Further small single-storey additions have been made at the east, west and north sides. 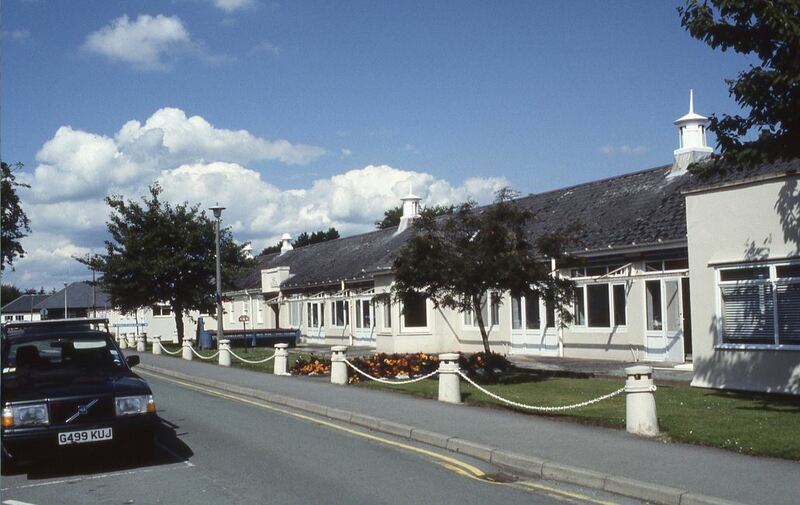 In September 1992 the building was being refurbished as Ellesmere Community Care Centre. 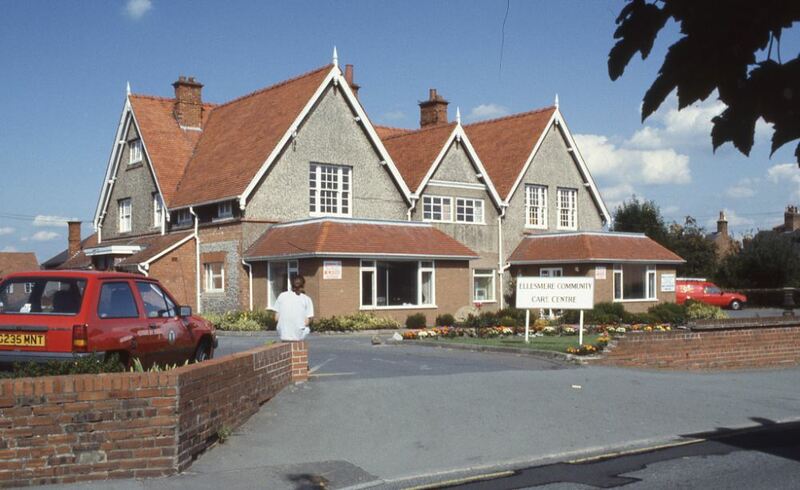 This large hospital specializing in orthopaedic cases was first established in 1900 at Florence House, Baschurch. It was founded by Agnes Hunt, whose family owned the house together with the neighbouring Boreatton Park. From humble beginnings, with just eight beds for children in need of fresh-air and a good diet, the home developed its care of crippled children. In 1904 Robert Jones, a doctor specializing in orthopaedic surgery in Liverpool, began his association with the hospital, conducting operations in the dining-room. After the First World War the need for a new hospital was acknowledged and in 1920 the present site of Park Hall was purchased. A military camp and hospital had been established there during the Great War and these buildings were converted into wards. In 1931 a scheme for the reconstruction of the hospital was prepared, initially by Taylor & Simister of Oldham, although by 1933 the architect seems to have changed to F. Charles Saxon, of Lockwood, Abercrombie & Saxon, Chester. The new hospital comprised a series of single-storeyed ward blocks to either side of a long spinal corridor, with the administration block in a central position. Staff accommodation was at the west end and there were two detached ward blocks for patients who required to be isolated. The work progressed slowly, hampered by escalating costs in the inter-war period and then by the out-break of the Second World War. The four eastern ward blocks were completed first, but the large nurses’ home was not finished until 1955. 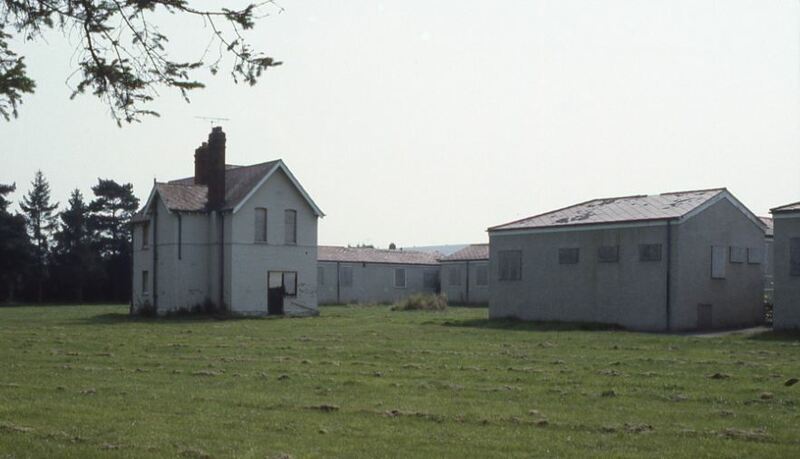 The hospital was used for war casualties under the Emergency Medical Scheme and four hutted ward blocks were erected in 1942. In 1948, apart from its transfer to the National Health Service, the hospital also suffered a serious fire in which about half the buildings were destroyed. It was also in this year that Agnes Hunt died, Robert Jones having died in 1933 when the hospital was re-named the Robert Jones and Agnes Hunt Orthopaedic Hospital. This small cottage hospital opened in 1892 with just eight beds in two wards. 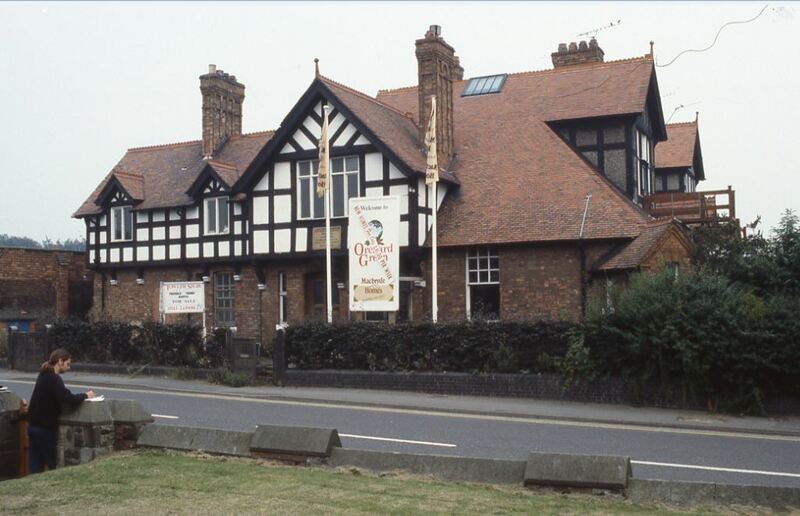 It was built to the designs of John Lewis of Newcastle-under-Lyme in an attractive domestic style of red brick with half-timbered gables. Minor additions were made subsequently including a small operating theatre. 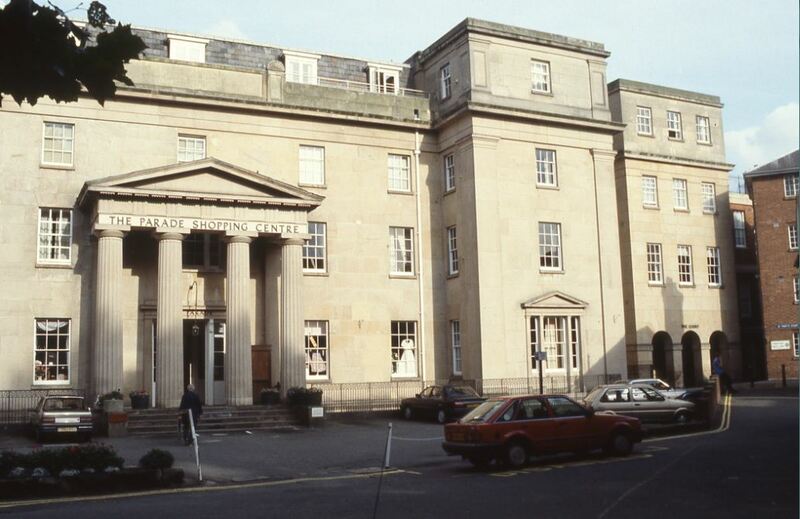 The hospital was transferred to the National Health Service in 1948 but is now closed, although a physiotherapy department was occupying the modern extension on the west side of the building in 1992. An attractive and well-kept example of a large, turn-of-the century cottage hospital, provided for by Lady Forester in memory of her late husband. Designed by E. B. I’Anson, and erected by Estcourt & Sons, the hospital opened in 1903 with 14 beds and an operating theatre. Faced with local limestone, dressed with red sandstone, and with numerous half-timbered gables and hipped red-tile roofs, the building presented an impressive vernacular-style façade to the expansive grounds to the south. 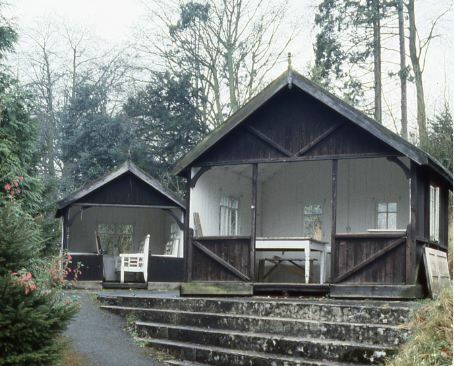 Other buildings included a porter’s lodge and a revolving timber shelter in the grounds. Later alterations and additions included a small maternity department, private wards, and two further shelters in the grounds, all dating from 1926. 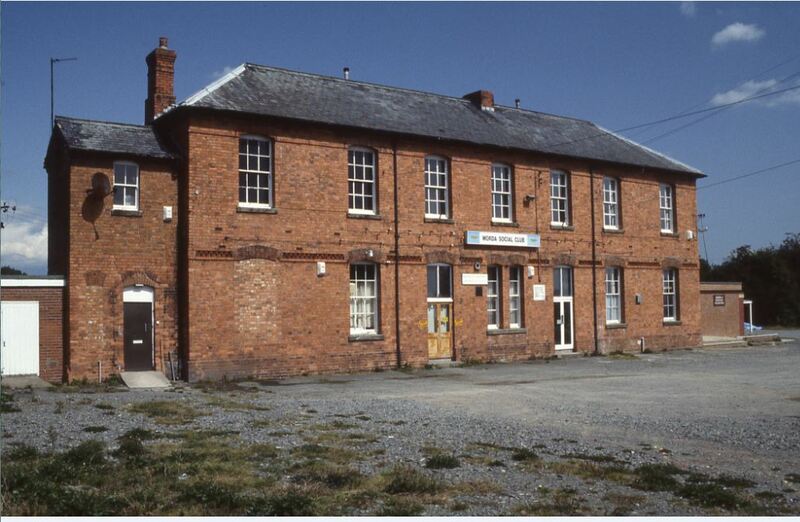 The building was in use as a community hospital in 1993. A small fragment of the substantial workhouse at Morda, built c.1790, is all that survives, together with the former isolation hospital (later Greenfields Hospital) erected by 1891, and the dilapidated nurses’ home of c.1904. 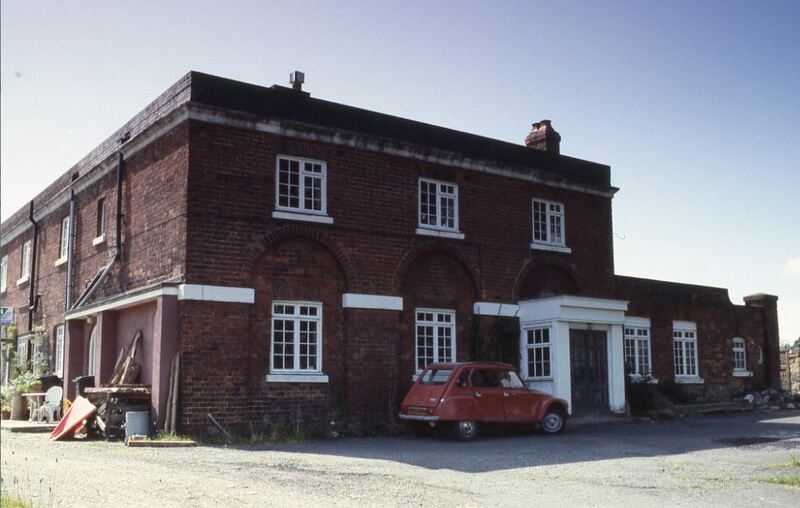 The remaining workhouse buildings have been converted into domestic use and the isolation hospital is now the Morda Social Club. 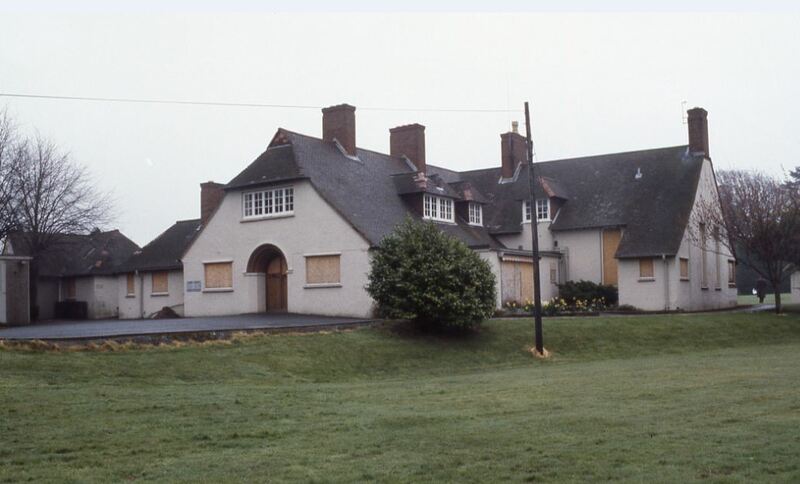 Whitchurch District Council established this temporary smallpox hospital some time between 1902 and 1913. A two-storeyed brick building, probably used for staff accommodation and offices, and one single-storeyed ward block of corrugated iron survived in 1993. 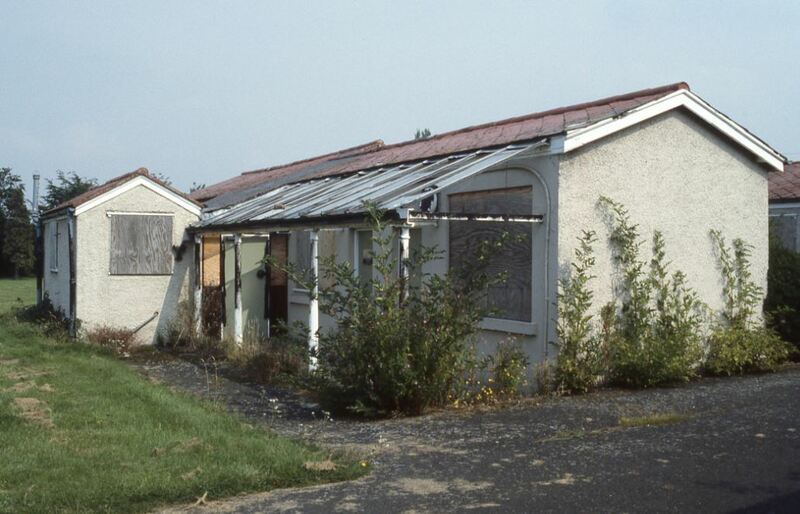 This isolation hospital was provided by the Shrewsbury and Atcham Joint Hospital Board on a site previously used as a women’s hostel. A Shrewsbury architect, V. G. Santo, converted the existing buildings into ward blocks and made necessary additions. The majority of the buildings are single-storey brick blocks faced in roughcast. The hospital was extended in the 1930s. 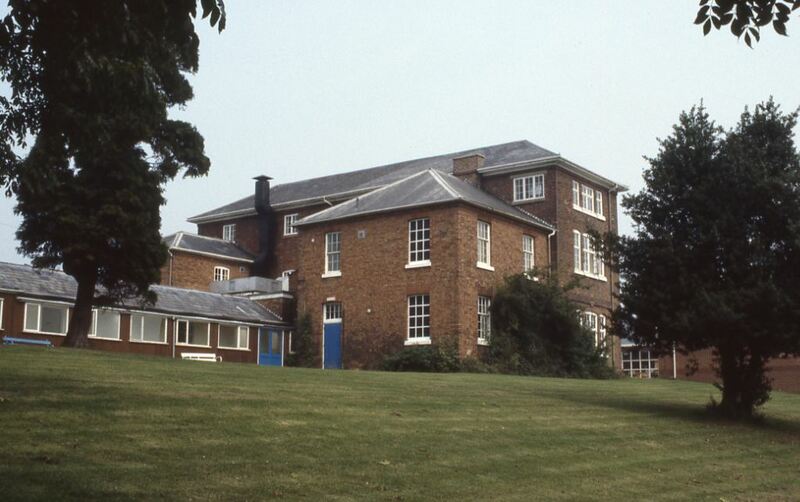 A new purpose-built infirmary for Salop was designed by Edward Haycock and erected on high ground facing the River Severn between 1827 and 1830; the institution had occupied a converted house on the same site since 1747. The new hospital was a three- to four-storey Grecian-style building, faced with stone, and included large day-rooms and a terrace on the east front, overlooking the river. An extra wing was added in c.1869, a new steam laundry in 1897, and a pathological laboratory in 1898. The largest addition was the provision of a five-storey brick nurses’ home, designed by A. E. Lloyd-Oswell, and erected in 1908-10. A gynaecological and children’s department opened in 1927. The hospital closed in 1977 and has been converted into flats and a shopping arcade. Keith D. Young designed the original sanatorium building for Shrewsbury School in 1903. 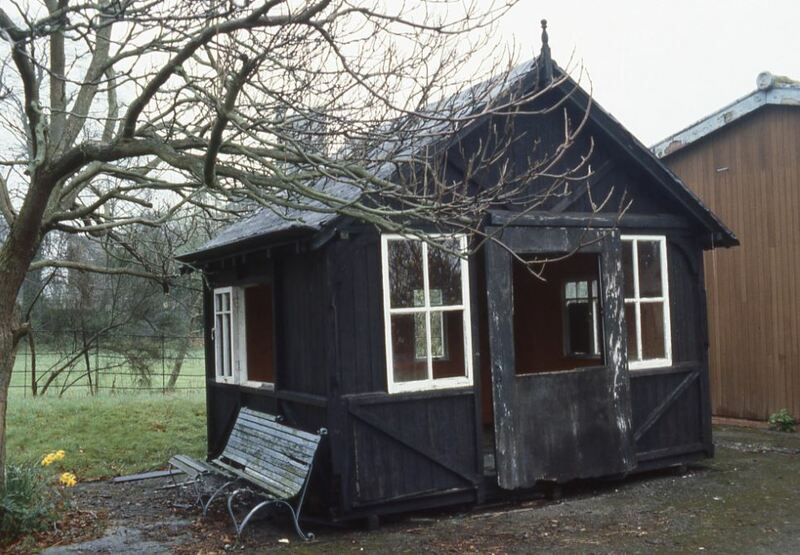 This combined a temporary iron ward hut, which no longer survives, with a domestic-style, two-storey red brick building containing small isolation wards. A new ward wing was later added to the east and additions made to the west. 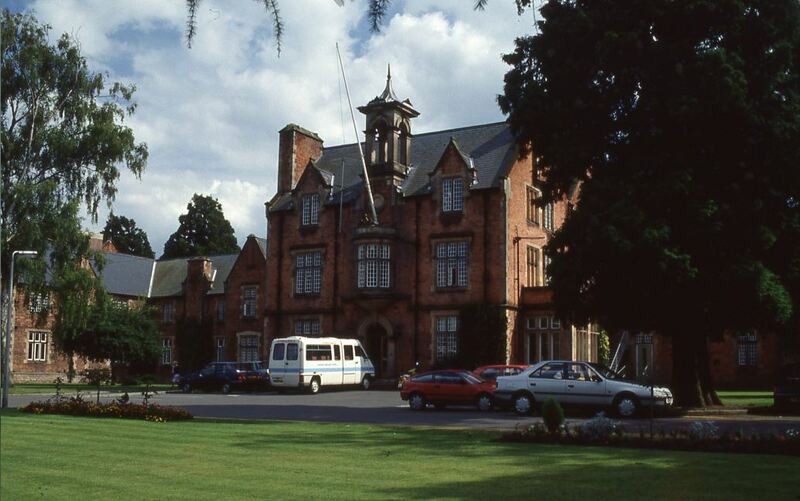 In 1993 the building was still part of Shrewsbury School. 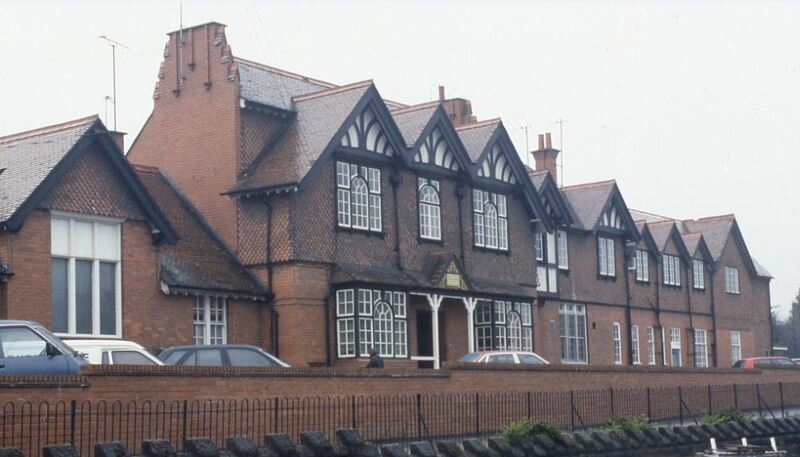 Originating in a small dispensary which opened in 1818, this specialist institution moved to a new purpose-built hospital erected in 1879-81 on a site overlooking the Severn. The architect was C. O. Ellison, of Liverpool. 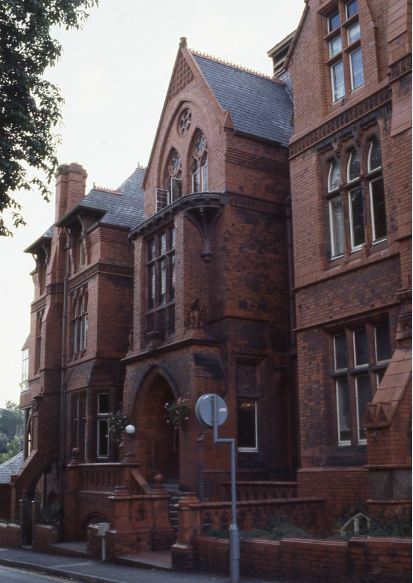 The tall, Gothic-style building, faced in red brick and terracotta, contained an out-patients’ department, eight four-bed general wards, two small special wards and a top-storey operating theatre. There were also a flat roof area and garden court for convalescence. The building, with a striking corner tower (now minus its spire) was extensively decorated with stained-glass windows and relief terracotta panels. A wing for ophthalmic cases, designed in a similar style and materials by A. E. Williams, was added in 1925-6. 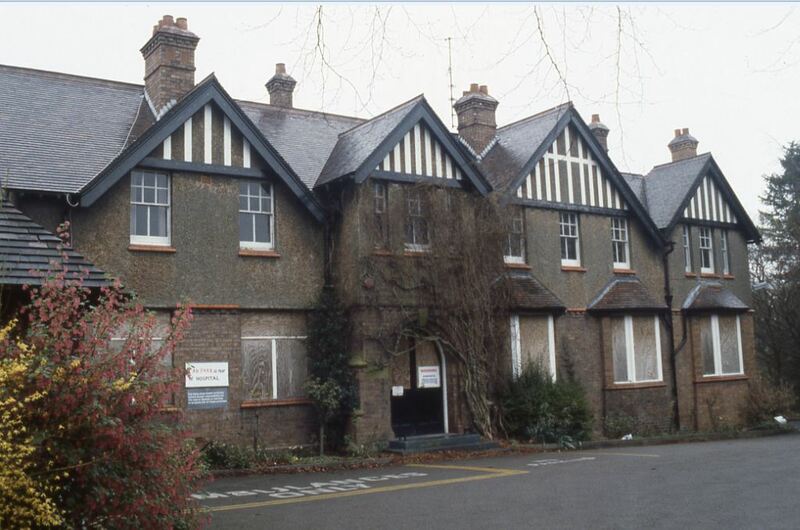 A small cottage hospital, erected in 1912-13, it originally provided eight beds and an operating theatre in a compact, L-shaped building, designed by Leslie T. Moore, of London, in an attractive Voyseyesque style, with white-painted roughcast walls, casement windows, low-swept tile roofs, and tall chimneys. A further ward wing, in a matching style, was added some time before 1937, and the extensive grounds also contain a revolving shelter for patients. 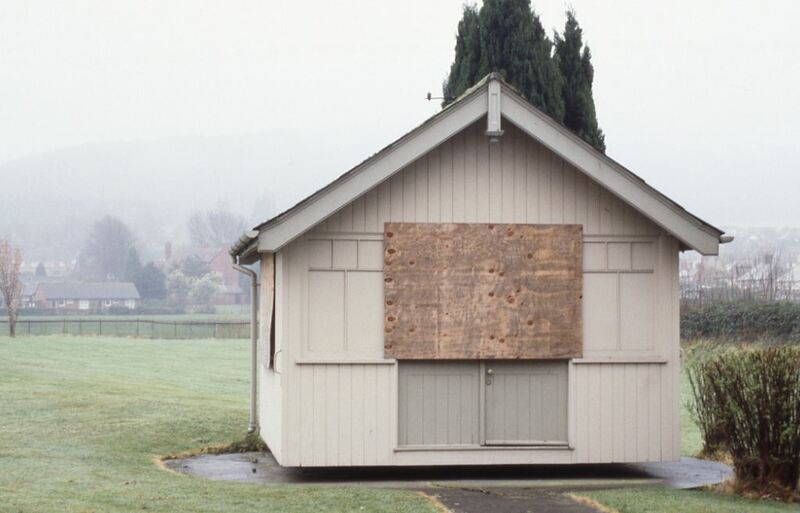 The hospital had closed and was boarded up in 1993. 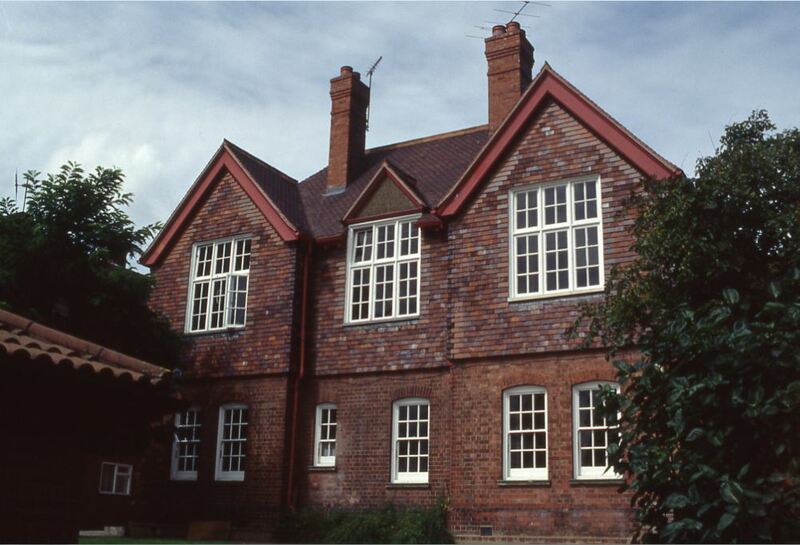 Erected in 1886, this striking cottage hospital was designed by E. W. Mountford, and comprised two general wards and an isolation ward on the ground floor of a handsome, red-brick and timber building, with a steep, hipped red-tile roof. A small upper storey contained a convalescent ward, facing south, and there was also a veranda running the length of the building on the south side. 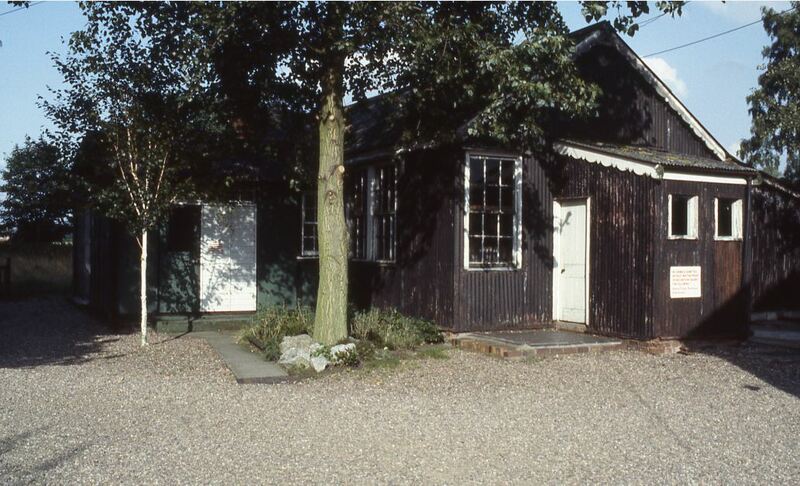 Out-buildings at the rear housed a small mortuary and wash-house. The hospital was doubled in size by the addition of an east wing in 1898, designed in the same style by Walter Webb. 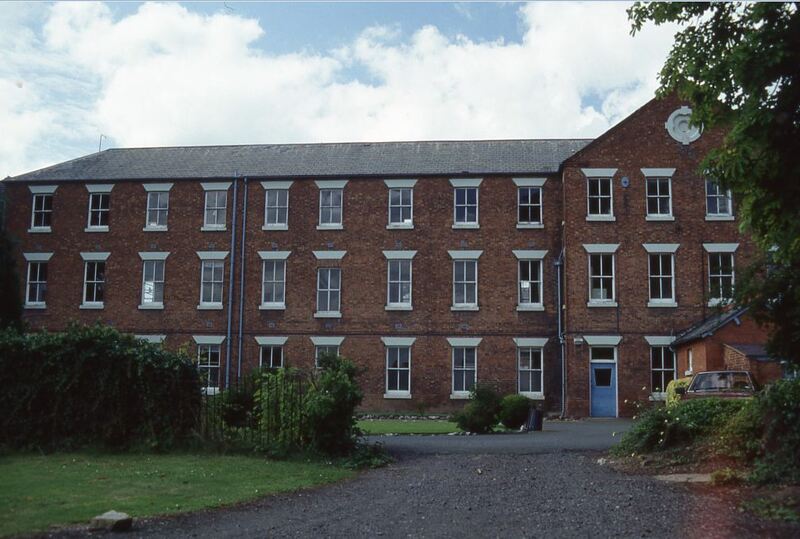 The workhouse at Whitchurch was built in 1794 and enlarged in 1853. More than half the main workhouse building has been demolished as have most of the out-buildings, including the former infirmary block. The chapel, however, does survive. It was erected in 1881 and is a handsome, Arts and Crafts style building in red brick and half-timbering. 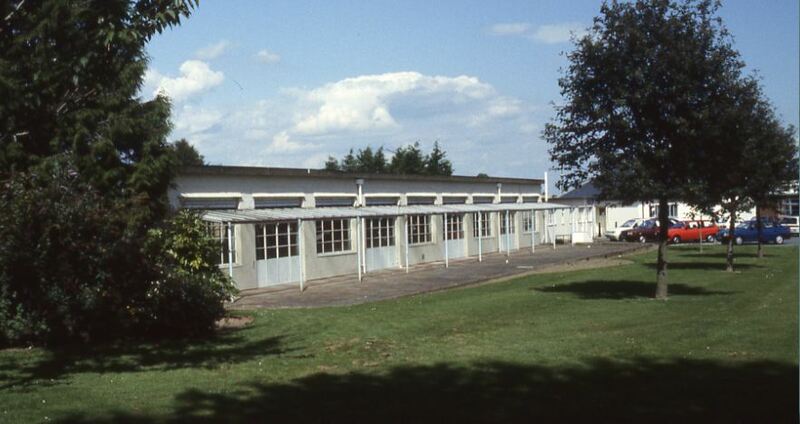 The buildings were transferred to the National Health Service in 1948 and latterly operated as a geriatric hospital.